"We had a great time at CSM APTA 2018- This is one of the main nationwide meetings and educational events for Physical Therapists, PTA's, and Friends- Our staff are active in the professional association and always update our skills and knowledge." Happy Anniversary!!! We are now in our 16+ year of providing caring and effective treatment to our patients! 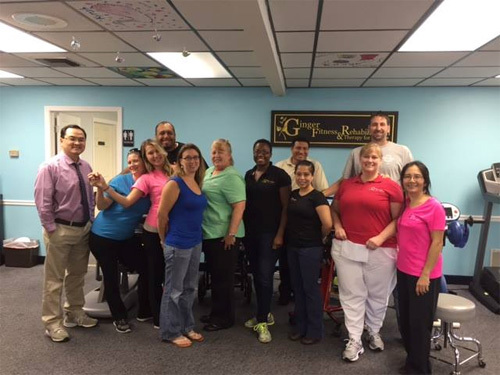 We are also a clinical training center for Doctor of Physical Therapy, Doctor of Occupational Therapy, and Physical Therapy and Occupational Therapy Assistant students from area schools. 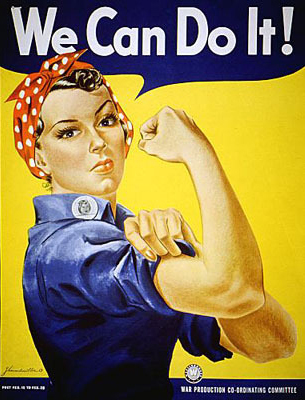 We foster positive attitude, hard work, and empowerment for all patients, friends, families, and students. We provide lectures, seminars, and consultations locally and nationwide. We promote better health habits and rehabilitation by finding out the root causes of problems- physical causes, posture, work, lifestyle, eating habits, body mechanics, family and social support stresses. She's a Root! a therapeutic one: Ginger roots are used widely in the Orient to treat ailments and for preventive health purposes. We find solutions, alleviate existing problems, and prevent future problems. We promote proper health choices by first finding the "root" of the problem. To treat naturally and scientifically using evidence based practice, to allow the body sufficient time to recover and improve. Each person is encouraged to look at his/her health project as a long term "habit". Just as one has to eat well to survive well, one has to exercise and move correctly to improve his/her health. Positive, calming, and encouraging attitude changes can facilitate faster improvement. When the Ginger root is healthy, then the effects are manifested in the healthy plant and beautiful flower. In other words, everyone is capable of growth and achievement. Just like the root, we are "down to earth", we care about our patients and families. We discuss frankly with you whether or not you would benefit from our services. For Rehab patients, there's always more room to improve. For example, we helped a lot of patients get back to standing and/or walking even if someone had not stood up or walked for years! We teach you how to improve balance and proprioception using self body awareness techniques. We empower patients avenues to deal and alleviate pain; having long lasting pain or stiffness is not acceptable. 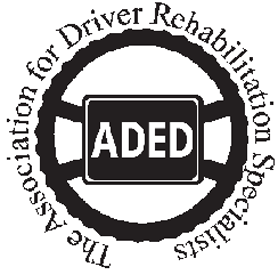 We focus on Driving Independence: Driving is a complicated task, but it is possible with the correct adaptive equipment and practice. Not everyone will drive, but many CAN. We look at all options for driving, including mobility equipment and accessories, we work with you to help get the best equipment possible with the least cost. In summary, there is always a SOLUTION and, at the least, do your POSITIVE best. We work "out of the box" to improve all aspects of a person's life. University of Florida, Physical Therapist of 25+ years– Go Gators! Master of Public Health, Epidemiology of Chronic Diseases- University of South Florida – Go Bulls! Ergonomic Specialist: Evaluation for Workplace Fitting, Task Modifications, Worker Injury Prevention, Home Modifications, Adaptive Equipment, Aging in Place issues. Yoga and Meditation Advocate - I embrace yoga and meditation for my own physical and mental health improvement. I have personally benefited so much from these techniques that I am paying forward to my families, friends, and our local communities. I am knowledgeable in the alignment of the body and physiological and medical basis to prevent injuries. Our company also has extensive experience (15+ years) in working with special needs population. Our therapists and teachers are trained to provide appropriate instructions. Classes are geared toward a safe environment for proper exercise progression. I wish everyone to be physically and mentally strong. When we build our own self-confidence, we will better engage in harmonious discourses and improve the communities where we live. 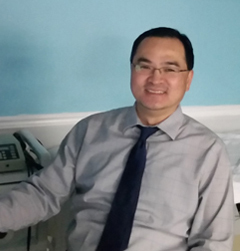 We welcome Dr. Lim, DPT with 25+ years of experience, as our Clinical Team Leader. He has a great sense of humor and works hard to get everyone into the team spirit. He is always willing to help colleagues and ensures that all patients are taken cared of. Our patients often request specifically for Dr. Lim. They are willing to travel to the locations where he works to get hands on treatment from him. He's fun and inventive. He creates functional and interesting activities for patients to work on while helping them heal physically for an effective recovery. He has good manual hands-on techniques that helps patient improve pain and improve movement patterns. He says that for each evaluation, his job is to help the patient feel better the same day, and the patient would want to return to get good care. He worked for a large publicly traded rehab company and was awarded the company's Caregiver of the Year in 2005. He became Area Rehab and Specialty Director with practice concentrated in vestibular rehabilitation. Prior to coming to us, he served as Academic Coordinator of Clinical Education for Keiser University and is a Credentialed Clinical Instructor by the APTA. He is also our Clinical Coordinator for DPT and PTA students in all 4 clinic and home locations. He enjoys watching football and just spending time with family. 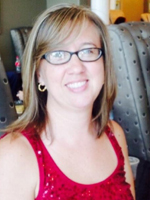 Originally from Michigan, Shannan calls Florida her home since 1989. She is our "Great Administrator" who oversees all staff and takes care of our entire company and multiple facilities. She has worked in the medical field for 26 years and has a wealth of insurance background, accounting and projected growth knowledge. Shannan has a passion for life and people in the community. She treats staff and patients like family and with sincere respect. When there is good news, we celebrate together. When there are problems, we solve them with compassion. She also has been a Licensed Realtor for eight years. When not busy at the office, she dabbles in the real estate market consulting and selling homes. 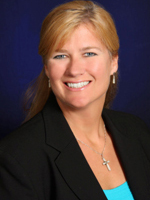 She facilitates connections between GFR and homeowners for home modifications and adaptive home needs. 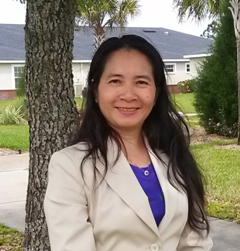 She assists her elder clients with the sale of their homes and relocation to appropriately fitted aging in place communities in the Tampa Bay Area. She is a patient mother of two teen agers with academic and extracurricular demands. A cancer survivor of 2 years, she enjoys bike riding, swimming, and walking as part of her wellness journey. We are Blessed to have her. Master in Public Administration from Troy University 2001. Bachelor of Science in Psychology from University of Central Florida 1995 -Go Knights! 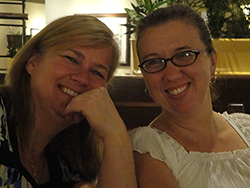 Laura is originally from Ohio but came to Florida in 1988 for her college education. She has 15+ years of working with children and families through programming and development (4 of those years working with children on the autism spectrum). Laura loves working with people and has a wealth of knowledge in Customer Service and Communications. She has been with us in many capacities for the past 5 years, during which time she has enjoyed the diverse and challenging population, "the staff and patients at GFR are fun, loving, and energetic". 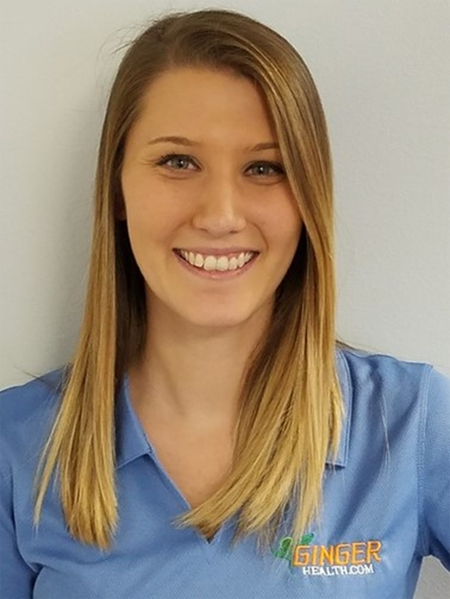 She began her new adventure with Grace Adaptive Driving by becoming a CDI in 2014 and has enjoyed learning and growing with our Driving team. This has been a natural as well as challenging and fun fit due to her previous experience with Autism and special needs. It's a special feeling to know that our work has helped many become more confident and safe enough to drive. They acquire skills on the road to full independence. Laura is solution oriented. She extends herself in many areas, mentoring staff, students, and getting questions answered from all directions. She's behind all the coordination for billing. She's a team player, keeping things calm, solving problems. She cares about the patients and wants to get them needed treatments. As you might know, insurance payments are very stingy and bureaucratic, but we try our best. As a Driver Instructor, she is patient and calm, providing appropriate feedback to help steer students on the right path. 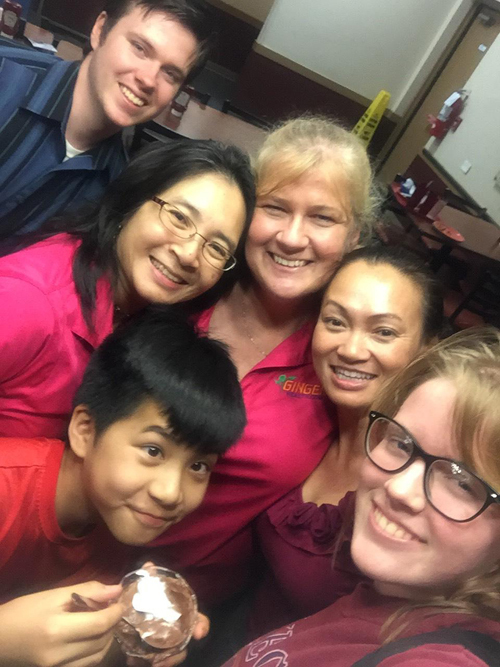 Giving back to the community is important to Laura and her children. They volunteer at churches and participate with several volunteer groups in Hillsborough County. In her spare time, she enjoys the beaches, movies, good books, gardening, and new adventures with friends and family! LINDSAY is smart, tough. She stands her ground. She is the voice of Ginger Health. We've had many compliments from patients who said the reason why they decide to come here was because of Lindsay. She cares and made them feel welcome. She's very knowledgeable and practically answers all questions about Ginger Health. At times, she defends our dignity. We don't believe everyone is right, and we demand civility. We believe in respect for all persons and to give patients the best care. We expect our staff and patients to be considerate to each other. It goes both ways. Lindsay keeps the mutual respect and compassionate care. She's also the Birthday and Well Wisher Ambassador. Thanks for helping us remember! She also dependably helps our Billing Manager to keep us going. She's trusted to get things done.